Why Carpet Cleaning STamford should be your #1 Choice for Clean Carpets. Attention Stamford: Our Steam Cleaning Service is unbeatable. That's right - our Steam Cleaning Service in Stamford will get your dirty carpets "super clean". 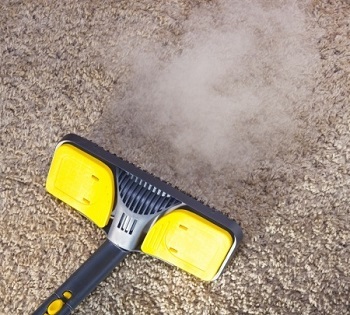 Steaming out the dirt of your carpeting is one of the best ways to get them looking clean again. ​We don't just do Steam Cleaning, but instead we love to steam clean. Our Carpet Cleaning Company was built from the ground up to get you the best carpeting cleaning in Stamford that money back buy. You can read all about our Carpet Cleaning Company by clicking the link. We have a interesting history, and are in the business because we know that the value behind our expert steam cleaning far outweighs the local competition around the City of Stamford. Give us a call today for Steam Cleaning Service at (203) 635-6135. Steam Cleaning is a rather ancient way of looking at getting your carpets cleaned. People throughout Connecticut, and especially Stamford, CT still associate Steam Cleaning with the best way to get their carpets cleaned. Hence this page on our Carpet Cleaning website is devoted to 100% steam cleaning service. There are still Carpet Cleaning Companies throughout CT that to strictly "steam cleaning", but lately people are learning that the carpet cleaning industry has advanced over the last 5 years. Truth is that now, almost every Carpet Cleaning Business does Steam Cleaning in some way. Steam Cleaning is the process of pushing water into the carpet and then sucking it out. Our Rotovac 360i Carpet Cleaning machine does just that while removing stains, and shampooing your carpets. Give us a call today (203) 635-6135. Our Steam Cleaning service in Stamford, CT is much different than the Stanley's Steamers, Heaven's Best, and Triple S Carpet & Upholstery cleaners because we our steam cleaning is 100% organic. Instead of pushing chemical solutions to get your carpets clean we use only the highest quality eco-friendly solutions. Being Organic, Eco-Friendly, Environmentally Safe or whatever you want to call it definitely separates our service from the rest of the dry steam cleaner services in Stamford. We've made our name by being the only organic carpet cleaning business in Stamford, CT.
Out of all the Companies in Stamford... Why Choose our Steam Cleaning Services? Instead of using either a Carpet Cleaning wand, or a Steam cleaner we've combined the portability of a carpet wand with the power of a steam cleaner. Our advanced carpet cleaning equipment will make sure you get the best clean for your hard earned money. Many of the other Steam Cleaning Services in Stamford push harmful chemicals into your carpets in order to clean them. Our steam cleaning only uses the best eco-friendly solutions. In fact our environmentally safe cleaning solutions are more powerful than the heavy chemical cleaners. That's right - our Steam Cleaning service will remove those wine stains you've been hiding with strategically placed decorations. From wine stains to urine & coffee stains our Steam Cleaning service will remove all of them. We'll simply apply a enzyme based stain removal solution to begin breaking down the stain while our steam cleaner does the work.